Classic Fm is Hiring Presenters. 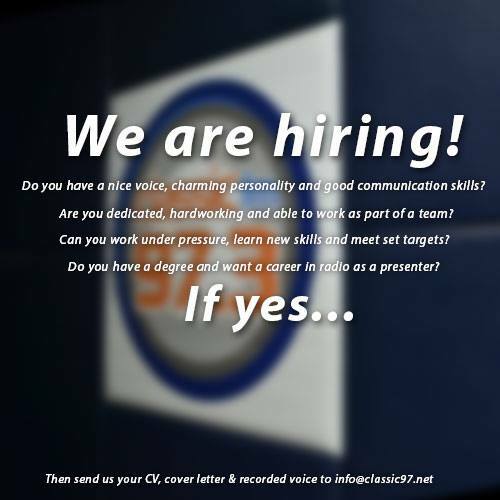 Do you have a nice voice, charming personality and good communication skills? Are you dedicated, hardworking and able to work as part of a team? Can you work under pressure, learn new skills and meet set targets? Do you have a degree and want a career in Radio as a Presenter?